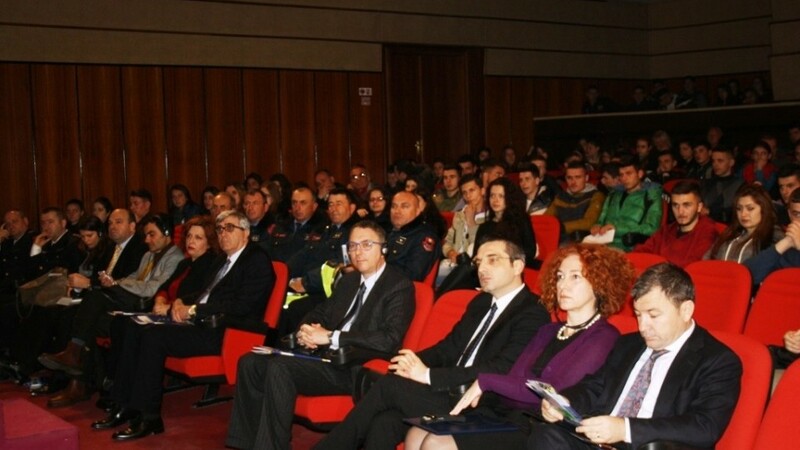 Following the launching event in Tirana, on 21st January 2015, ICARUS Project on ” awareness-raising for road safety” launched also in Durres on 03 March 2015. This event, jointly organized by PAMECA IV and the Regional Police Directorate of Durres, was attended by the EU Ambassador in Tirana, Mrs. Romana VLAHUTIN, the Minister of Internal Affairs, Mr. Saimir TAHIRI, Project Leader of PAMECA IV, Mr. Giorgio BUTINI, the Mayor of Durres, Mr. Vangush DAKO, the Prefect of Durres, the Director of the Regional Education Directorate, the Chairman of the Regional Council, as well as by over 200 high school students of Durres city. The event was closely followed by the local and national media and TV stations. All speakers in the event focused, among other issues, on the importance of respect of traffic rules in saving the most precious thing in this world which is “ human life”.